We admit it: we did a double take when we saw the high pricetag for this jigsaw puzzle, by designer and artist Enzo Mari. 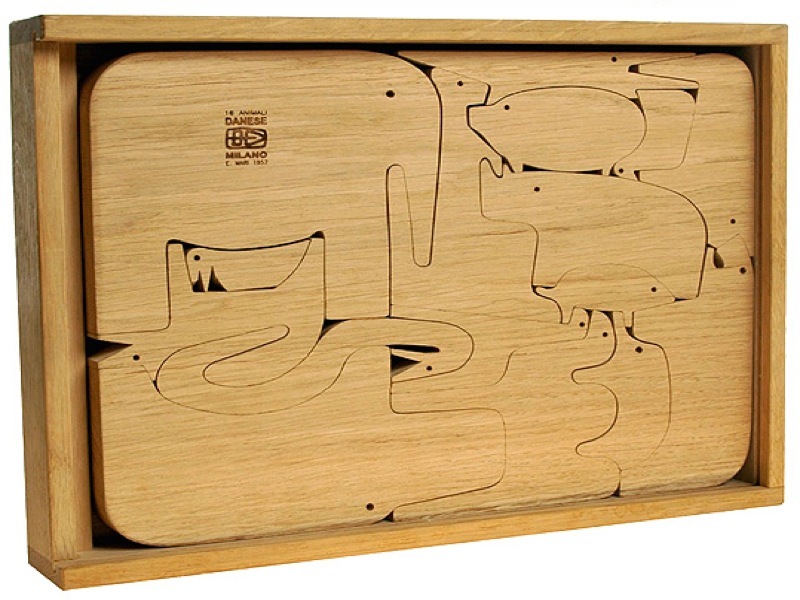 That being said, we love his Sedici Animali wooden puzzle, made up of 16 different animals that snuggle in together to comprise this unique and accessible-to-kids work of art. The coolest part: the animals can also stand upright, making them the classiest game of play pretend ever. Only 300 are made each year and each comes in a silk-screened wooden keepsake box. First created in 1957, this jigsaw puzzle is sure to become a family heirloom, but one that kids can actually be encouraged to touch!